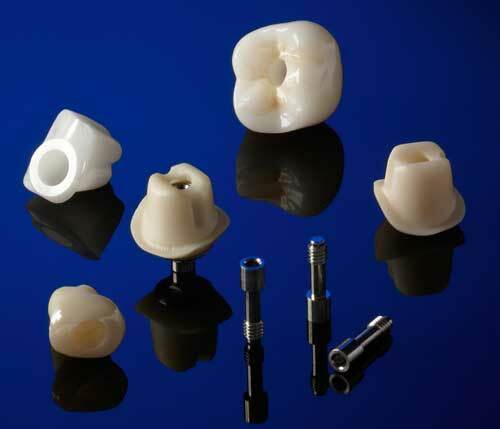 Vericore zirconia hybrid custom abutments provide the natural esthetics of zirconia with the precision and durability of a titanium interface. Vericore Premier titanium custom abutments are polished and engraved with the tooth number and a titanium platform and screw are included with each custom abutment. The abutments are available in 19 platforms for 7 major implant systems and Dental Technology Solutions accepts designed .STL files with a 2-day processing time.